In the example's code is important to understand how to publish and how to receive messages. 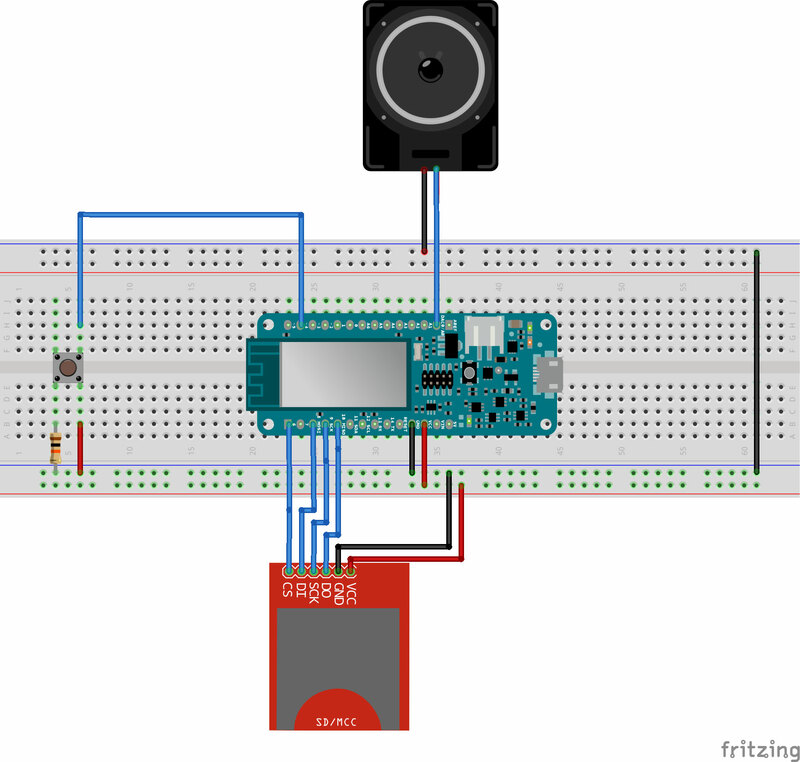 We want the receiver to play a song when the right message is received and to send the "open" message when the button is pressed. In order to make it play we need the AudioZero library. For better quality the Audio file to store on the SD card must be in the .wav format with 88200 Hz, 8-bit unsigned PCM mono quality. This type of file can be easily obtained using audio programs like audacity. 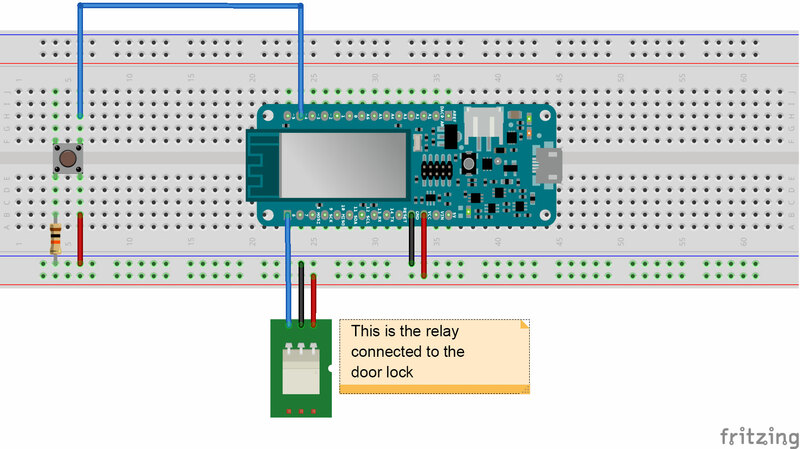 Please note that for this example we presume our door is already connected to a relay that can lock and unlock the door by switching on and off. What remains to do is simply to connect our board to this relay and to the front door button.